from 3 pcs. 2.50 CHF ea. from 10 pcs. 2.20 CHF ea. from 20 pcs. 2.05 CHF ea. from 40 pcs. 1.90 CHF ea. 1 pc. 7.15 CHF ea. 5 pcs. 1.12 CHF ea. 10 pcs. 0.35 CHF ea. 5 pcs. 0.54 CHF ea. 1 pc. 5.35 CHF ea. 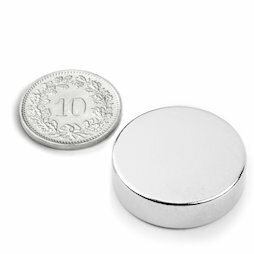 We recommend that these magnets always be stored using the included spacers. Without them, it can be extremely difficult to get the magnets apart.